Maxwell Food Center is one of my favourite places in the entire world. All the amazing hawker food housed under one roof. The most comforting thing is that even if all my second/third favourite fish soup stalls have closed down, the one at Maxwell will always be there, rain or shine! The first time I tried this many years ago, I was completely mind-blown. I love a milky soup base for my fish soup, but not many places are able to do it well. The soup base here was so flavourful and intense, you can't help but finish the entire bowl. There is always a long queue, regardless of peak/off-peak hours. 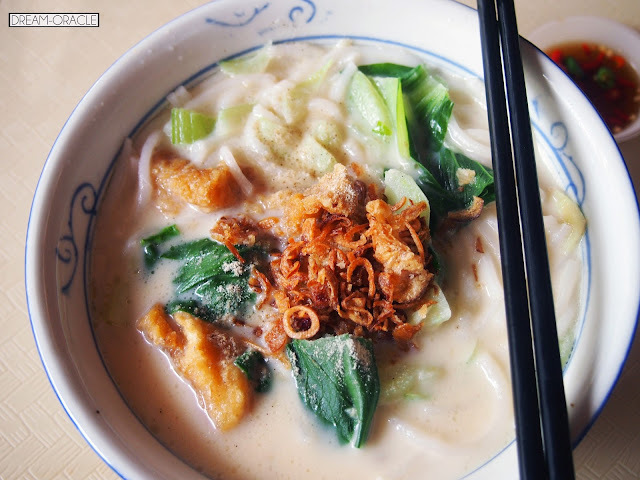 With soup that awesome, it's no wonder people are always craving for this! I'm a hugeeee fan of fish soup. Having tried a gazillion places' fish soup, I can tell you this place serves up the very best. I hate queuing, but I am willing to queue for this bowl of wonderful concoction.